Born and educated in Salta, Argentina. 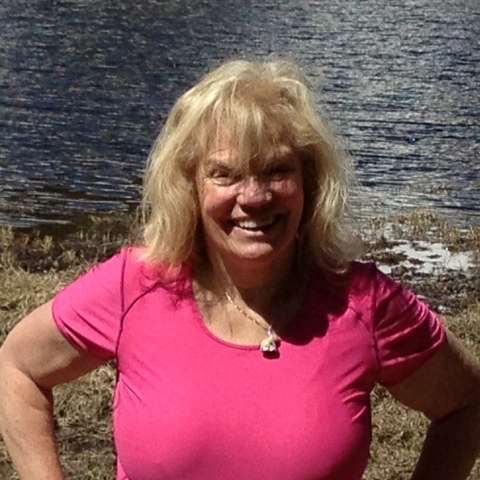 A Certified Fitness Instructor, horsewoman and hiker; she developed a passion for travel while visiting Europe, Africa and the wonders of South America. Training for travel happened in the field, working as a guide and trip designer for many legendary international adventure and luxury travel companies. The research to write in both Spanish and English the texts for five photographic books provided a solid knowledge about Argentina and South America. 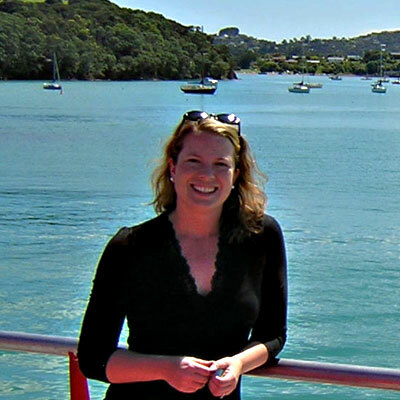 Six years ago she founded Adventure & Landscape, that operates active trips for quality travelers. She is also a speaker at many travel events focusing on the relationship between local communities and the adventure travel world. She has provided training to Andean communities for them to create their own products and work with the tourism industry. Andrew’s adventure tourism expertise emphasizes marketing and product development. 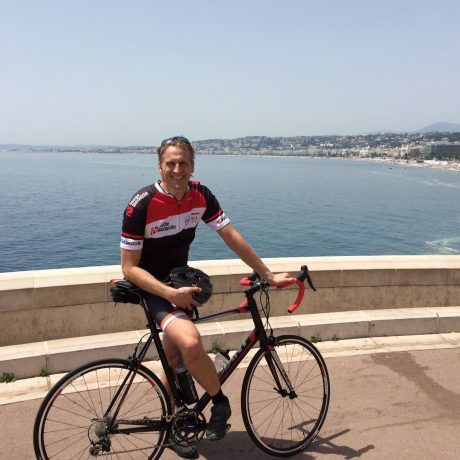 Since 1996 when he co-founded Saddle Skedaddle Cycling Holidays he has helped the company to become the UK’s leading independent Tour Operator. Socially aware with strong environmental and green credentials he was integral in setting up the Cycle HUB www.thecyclehub.org, a Social Enterprise non-for-profit organization created to further cycling in Newcastle Upon Tyne. Beatriz Barreal Danel is the Founder and President at Sustainable Riviera Maya. She has been involved in Communication, Branding and Marketing for +25 years. Barreal's passion for sustainability has led her to be an innovator in Sustainability Management for marketing and international relations. Linker of actions and strategies between OMT | UN | UNCTAD | EMPRETEC | GSTC leaders and authorities, leaders and key stakeholders in Riviera Maya. Since 1997 Casey has been involved in adventure travel marketing, sales and business development. Currently serving as Vice President of Marketing & Communications at the ATTA, her most recent previous role was as VP, Marketing, Brand, and Sales at international tour operator Zegrahm Expeditions, a leader in small-ship cruising and land-based expeditions to all seven continents. Since 2004, Chris has played a key role in the strategic direction and development of the Adventure Travel Trade Association, which serves more than 1,100 members (including tour operators, tourism boards, specialty agents, accommodations and industry partners) in 90 countries worldwide, each sharing a commitment to the sustainable development of adventure tourism. In addition to serving as European Editor for AdventureTravelNews™, the leading digital journal for the adventure travel trade, he oversees the ATTA’s development efforts throughout Europe. 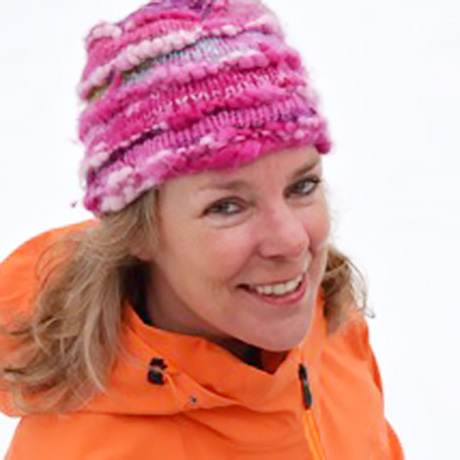 Christina created and leads the AdventureEDU program for the Adventure Travel Trade Association. In this role she is responsible for designing and managing AdventureEDU's professional training programs to enhance regional economic development for clients in both emerging markets and in under-developed regions of developed countries. 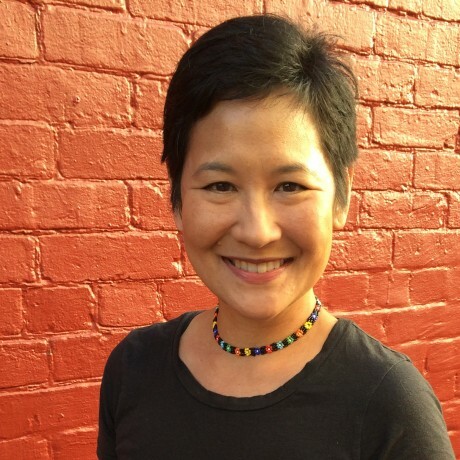 Chunnie is an attorney who brings extensive legal experience and a unique perspective to her adventure travel law practice. 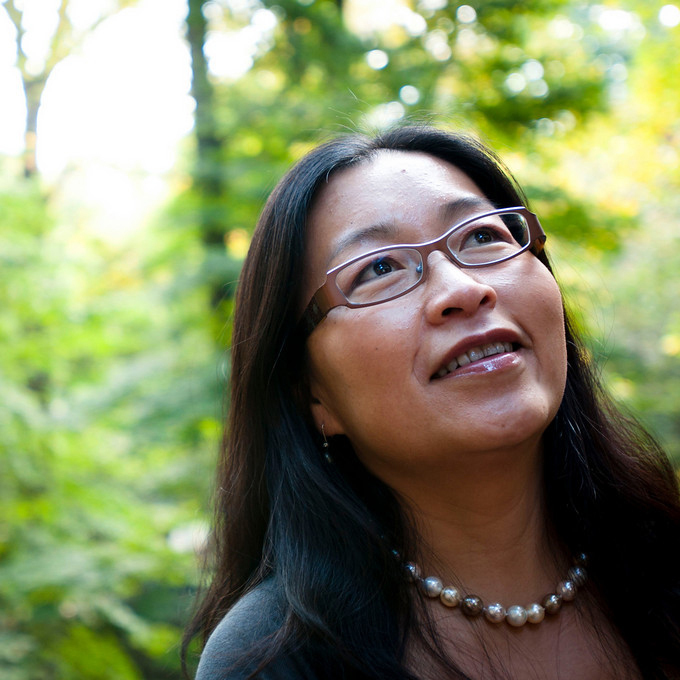 Drawing upon her broad-range of legal experience in private practice, the federal government, and in-house at a prominent trade association, Chunnie helps her adventure travel industry clients successfully navigate a variety of legal issues. These issues include contracts, risk management, general business and strategic advice, international business, dispute resolution, regulatory compliance, intellectual property protection, Internet and e-commerce, litigation, and more. As a graduate of the University of California Berkeley School of Law, Chunnie represents companies of all sizes, from start-up to large corporations, and in all stages of the business life cycle. Those that know Dan can’t help but recognize his tireless energy. Whether in the office running the day to day of a respected International Tour Operation or Traveling the world scouting new destinations, Dan’s passion and commitment is infectious. Over the last 25 years Dan has evolved to be a respected member of the Adventure Travel Community. Dan considers his life and experiences an open book, from helping a young entrepreneur with a start up to being a credible source for the media, its all part of the job to Dan. While Dan is proud of his accomplishments at Austin Adventures, it is his role in developing the next generation of Adventure Travel elite, his Daughter Kasey (currently VP Operations at Austin Adventures) and his son Andy, (Founder of Peak Photography and PR, and Social Media Manager for SE Montana Tourism Board) that truly means the most to him. 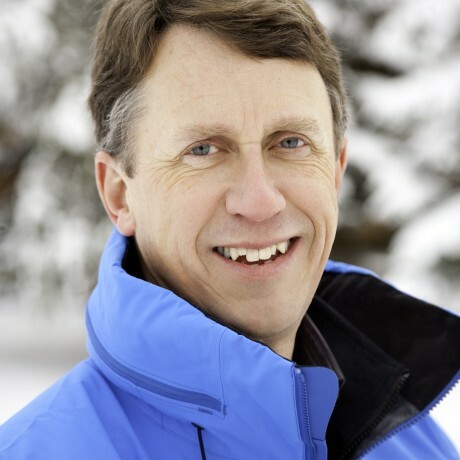 Dave Butler, a professional forester and biologist, is the Director of Sustainability for Canadian Mountain Holidays (CMH), the world’s first and largest helicopter skiing and hiking company. He’s an experienced member of CMH’s senior leadership team that supports the staff who provide life-changing, safe and sustainable experiences for guests from across the globe. 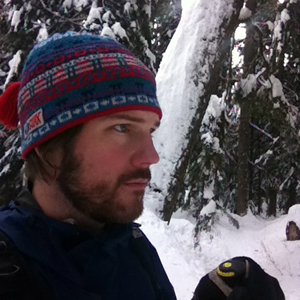 Prior to joining CMH, Dave worked in government (including as a Park Warden in Banff National Park, and in tourism land management) and in adventure tourism consulting. He’s a passionate adventure traveler, and an innovative tourism leader who’s committed to integrating the fiscal, social/cultural and environmental components of business. Don specializes in team development and leadership development. He has been successful at helping bring about organization development and change. In the past he has consulted, coached, and conducted training for a number of organizations ranging from large corporations, government agencies and public utilities to educational institutions, small businesses, professional associations, and research institutes, including Boston Edison, the Eaton Corporation, Executive Coaching Network, Lane Construction, Oracle, Rand Corporation, and Scott Paper. His training experience includes over 15 years experience as dean and professor in PhD level program in organization development and leadership, a program that has produced over 100 successful consultants and trainers. Dr. Neubauer (Toni) is the Founder and President of Myths and Mountains, Inc., a cultural travel company, located in Incline Village, Nevada. Her company has been honored by "Travel+Leisure", "National Geographic Adventure", Outside Magazine, and others. She is also the Conde Nast Travel Specialist for Nepal. Through Toni and her team’s efforts, Myths and Mountains trips have become widely regarded as some of the best for introducing and immersing participants in unfamiliar cultures in a manner that encourages understanding and appreciation of their global neighbors. 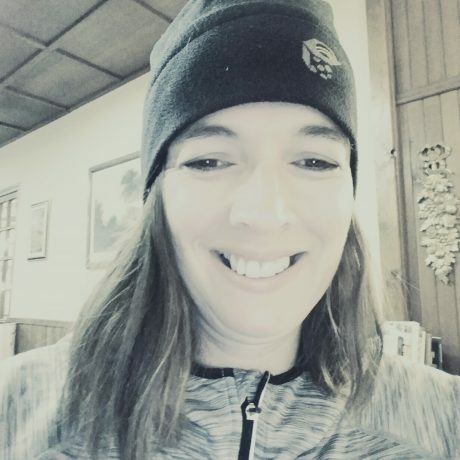 She specializes in helping her AdventureEDU clients create exceptional itineraries and deliver them at the highest standard of safety and excellence. 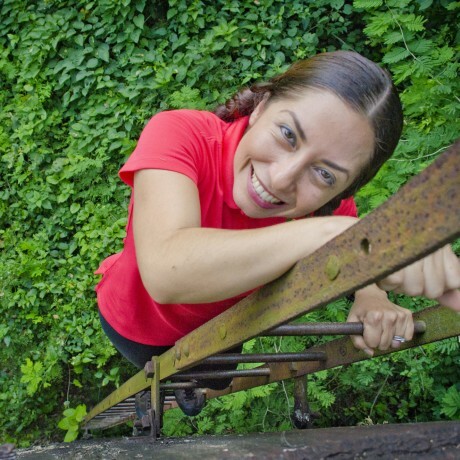 Ena is a Mexican, and holds a Bachelors Degree in Tourism with a specialization in nature tourism. She has 15 years of experience in adventure tourism and is the owner of a tour operator company recognized for its high quality and safety standards. Ena has trained students from several universities in Mexico and as a consultant, she has provided expert advice to tourism companies. She has conducted studies on models of risk management in Mexico, Costa Rica and Brazil, and has a strong grasp towards Human Resource Training and Development which is key to operational success in a tourism business. Fernando was born and raised in Ecuador & the Galapagos Islands, and holds bachelor’s degrees in Marketing & Psychology from the University of Notre Dame in the United States. He has worked in the areas of Sales, Marketing and Product Development for the travel industry. 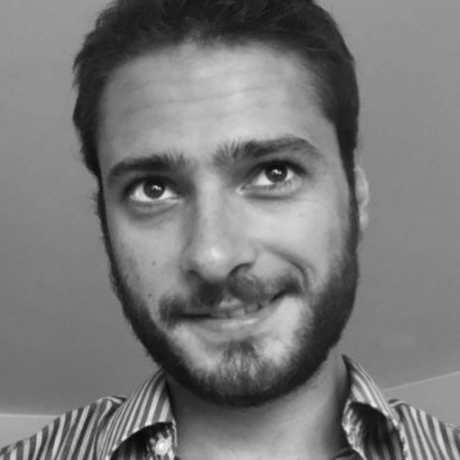 As Marketing Director for the last 10 years for Quasar Expeditions, and currently a member of its board, Fernando has specialized in digital marketing for the travel industry with a focus on the B2C approach. He moved to Chile in 2011 to start the company’s latest adventures in Chilean and Argentinean Southern Patagonia and is currently based in Santiago. 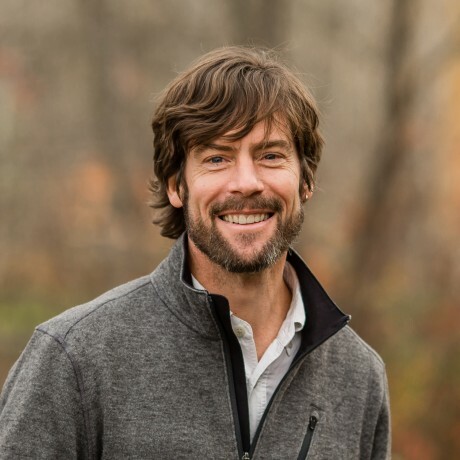 Gordon is a founding member of Alpine Ascents and is responsible for overseeing all in field and office operations as current Director of Programs. His primary responsibility is to uphold our company mantra to develop safe, self-reliant and environmentally conscious mountaineers. With a passion for new trip development, Gordon scouts new locations, creates written materials, researches climbing and cultural histories and has overseen the expansion of Alpine Ascents from a single trip offering in 1991 to becoming one of the largest outfitters in the world. He manages all aspects of the business, and is a marketing expert with a keen interest in business ethics and customer service. 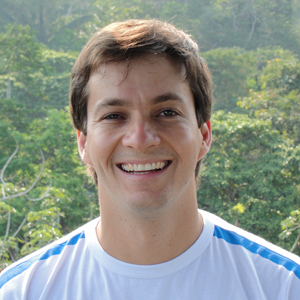 Gustavo was one of the Brazilian Adventure Travel and Ecotourism Trade Association (ABETA) founders. As General Manager of the organization he worked closely with adventure travel companies for five years. Prior to ABETA, he was Executive Director of Brasil Aventuras Expedições for 8 years, a Brazilian adventure travel company. As one of the leaders in promoting adventure safety standards in Brazil through the Aventura Segura program he brings sophisticated knowledge and expertise to the topic of safety management and has presented many seminars to both tourism board and adventure tour operator audiences. 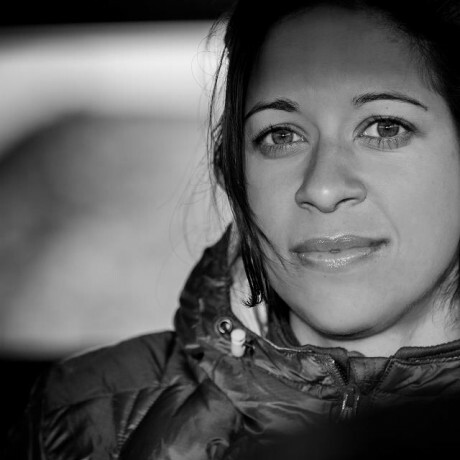 Hayley Wright is co-director and founder of Black Mountain Adventure Travel and Adventure Race Montenegro. After developing a passion for travel from her parents, she travelled the world as an adventure travel client before settling 14 years ago in Montenegro with her husband to establish their own adventure travel business. Hayley’s role in itinerary design, product development and logistics means a devotion and passion for identifying experiences which provide unique journeys for her clients in tandem with a focus on development of sustainable tourism practices in local communities. Hayley is a Leave No Trace trainer, holds the GSTC’s Sustainable Tourism Certificate and currently designs and operates itineraries in Montenegro and the Western Balkans for some of the world's most respected international adventure tour operators. Hayley has supported the ATTA for the past 4 years on project management for AdventureEDU in several destinations together with itinerary development support for AdventureWeek Tuscany and the Adventure Advocate Group in Kyrgyzstan. A graduate in Russian language studies, Hayley enjoys the colder regions of the world, having lived in Switzerland, Western Russia and Siberia as well as snowshoeing to the North Pole on a last degree expedition. Mountain trekking, horseback riding and snow sports are all passions. Hayley is mother to two young adventurers, Max and Emilia. 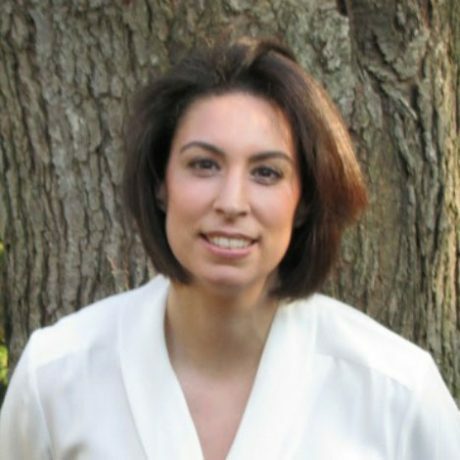 Irene is a U.S. based consultant specializing in developing sustainable tourism products, marketing strategies, return on investment (ROI) benchmarking models, and community development tactics for tourism boards and individual businesses. In addition to being a regular, featured writer for the Huffington Post among other media outlets and a featured speaker on ecotourism strategies, challenges and issues at the George Washington University, the Ecotourism & Sustainable Tourism Conference, and for the US Department of State’s International Visitor Leadership Program, she is the only person in the United States who can certify a green travel destination, accommodation, or event under the internationally-accredited Biosphere label. She is a dual EU citizen having lived in 5 countries including Greece, Switzerland, and Italy as well as having worked and / or traveled to 40 more including those in Latin America, Africa, Asia and Oceania. 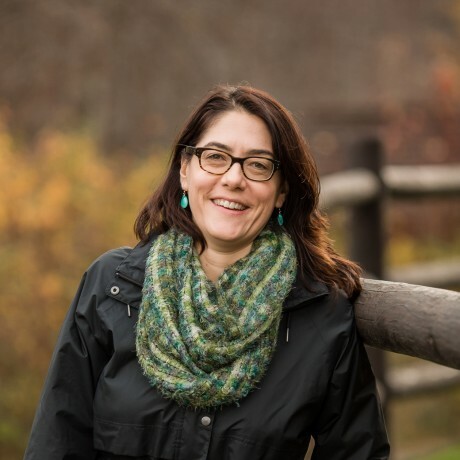 She is the Founder of Greenloons.com, which is an online ecotourism resource that inspires families to travel in ways that benefit communities socially and economically as well as ensure a more sustainable planet. Mr. Delf specializes in sustainable adventure tourism product design, development and delivery. 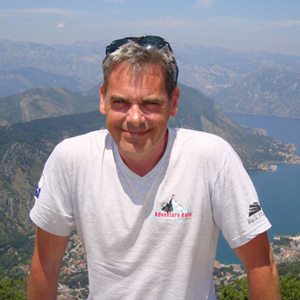 Following a very successful 15 year career in corporate marketing and advertising, Jack formed his own Montenegro-based adventure travel company, Black Mountain Adventures in 2006. As well as being recognized as the most influential and innovative adventure tour operator in the region, his company also provides experiential training for corporate and academic groups and government and non government agencies. Key clients include : National Tourism Organization of Montenegro, United Nations Development Program and the United Nations High Commission for Refugees, Chevrolet, Hyundai, Martin Randall Travel, Denver Graduate Business School, Original Travel and university / schools groups from the US and UK. Jack is chairman of the Western Balkans Geotourism Stewardship Council, founder and director of Adventure Race Montenegro and also works as a tourism development consultant for on projects for the Council of Europe, UNDP and USAID in the EU and Eastern Europe. New and Emerging forms of Tourism, Adventure Travel, Sustainable Tourism. Tourism Product Design and Development, Product Delivery, Sales and Customer Service. Trade and Consumer Marketing Strategies; Market Research, Brand / Branding Strategy, Competitive Positioning, Marketing Planning, Advertising and Media (online in particular) – both for Businesses and Destinations. Entrepreneurship, Business strategy – particularly for start ups and SME’s. My main experience has been teaching these concepts in economies transitioning from centrally planned to free market (Eastern Europe). Outdoor corporate and academic experiential learning, teambuilding, motivational and business training. Jean-Claude, 47, has 30 years experience in the adventure business, specializing in safety management, operation and product development. Initially focused in mountaineering and climbing, Jean-Claude is now active in the whole chain of the adventure business. His company Alaya is the reference company in Brazil. 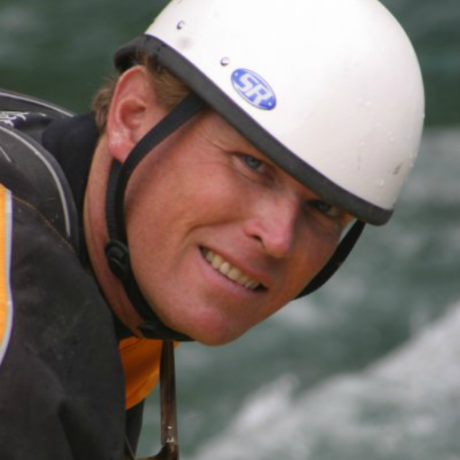 Jim Coffey of Esprit Whitewater is internationally recognized for adventure guide training. He is the Director of Esprit Whitewater operating programs in Canada, the USA, Mexico and Costa Rica as well as W.I.L.D (The Whitewater Intensive Leadership Development school). He hosts the award winning video series Rescue for River Runners and provides Wilderness Medical Training for Solo Schools. For the prestigious outdoor leadership school, NOLS, Jim delivers risk management evaluations as well as NOLS instructor training workshops. 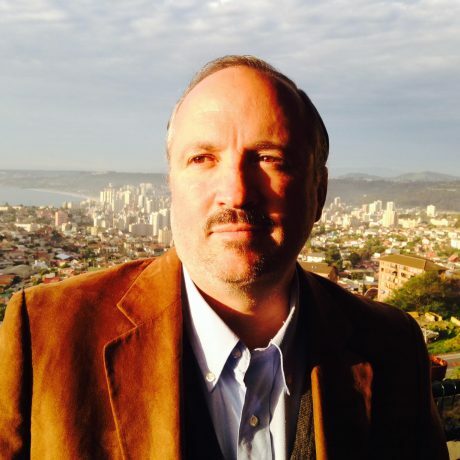 Jim Sano is World Wildlife Fund’s Vice President for Travel, Tourism and Conservation. He serves as its senior advisor on sustainable tourism programs and develops new initiatives to engage its most committed supporters. 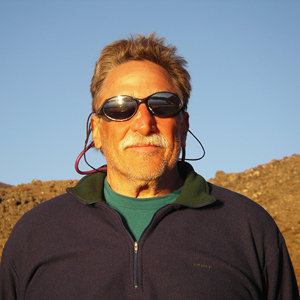 Jim was formerly President of Geographic Expeditions, a San Francisco-based adventure travel company that offers educational travel, location management, and sustainable travel consulting services. 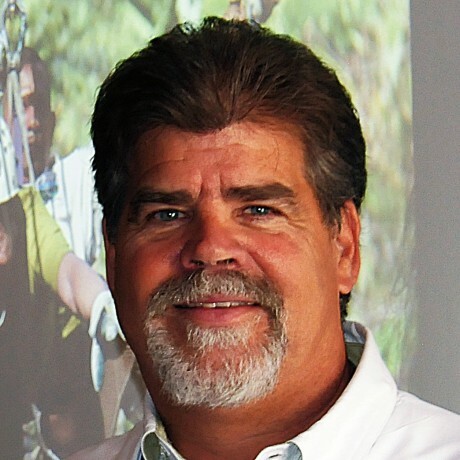 John is an outdoor industry safety and risk management consultant who specializes in all aspects of commercial adventure recreation with over 40 years of experience in the USA and Europe. He was among the first to develop adventure-based businesses and scale up operations to multiple states and international destinations. In management for over a decade at L.L.Bean, Inc., he developed the L.L.Bean Outdoor Discovery Schools’ courses, trips and tours, standard operating procedures, risk management practices, a team of over 350 employees, scaling to 10 states and 34 locations hosting over 26,000 guests annually while consistently achieving the highest customer satisfaction scores in the company with an admirable safety record. An experienced and motivating leader, mentor and role model, he is committed to conservation, stewardship and sustainable practices creating inspired and memorable experiences for guests and employees. 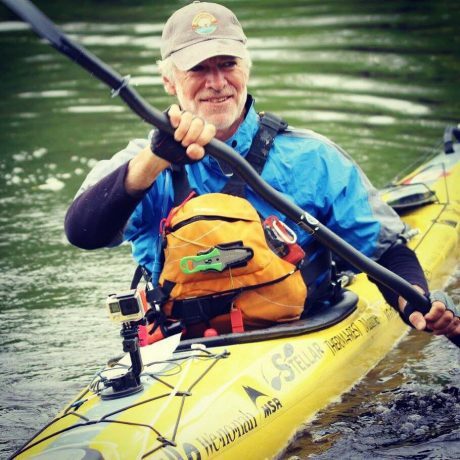 As the President of Polar Latitudes and with twenty years in the adventure travel industry, John brings deep operational experience to his AdventureEDU sessions. 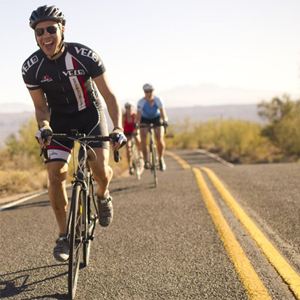 He has created sales training programs for leading adventure travel companies such as Backroads, Mountain Travel Sobek and Abercrombie and Kent. Jorge Moller has always been dedicated to nature and cultural tourism. In 1985 he began working with ecotourism and, in 1990, founded “Eco Travel” in Puerto Varas, located in the heart of the Chilean Lakes District. A pioneer in Specialist Interest Tourism throughout the country, Moller was additionally a founding member of Chile’s Adventure Travel Regulatory Organization (C.A.T.A.) and the Tourism Corporation of Puerto Varas. Always attempting to bring an environmental education perspective to the tourism experience, Moller became the owner of Darwin’s Trails Chile. This joint English-Chilean inbound Tour Operator, with 20 years of experience, provides authentic, local experiences and contact with local people for clients visiting Chile and Patagonia. Jorge works as a consultant with indigenous communities such as the Mapuches, Likan Antai, Yagan and Rapa-Nui to provide them with tools for sustainable development. Jorge is also a GSTC Country Representative and trainer in Chile. Julie's practical, “in the trenches” experience in senior management finance and marketing positions over more than 2 decades has created her unique business approach to strategic marketing. 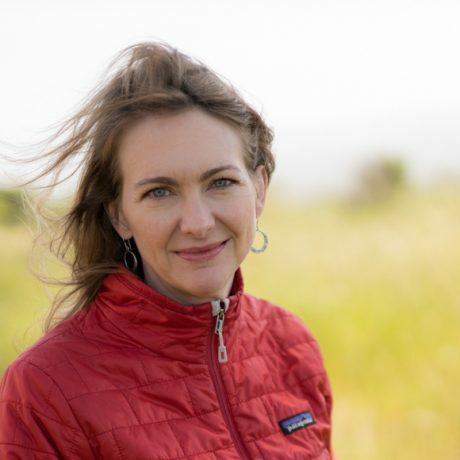 A former guide, manager, and now marketing partner to top outdoor recreation companies, she emphasizes effective fiscal responsibility and accountability in concert with marketing strategy, development, and execution. Julie specializes in the niche of outdoor recreation and adventure travel, within the travel & tourism industries. Search Engine Marketing: PPC, Retargeting, etc. Kirsi has worked since the mid-90s in the intersection of destinations, tourism businesses, associations and NGOs, supporting their joint development from master planning to operational excellence. She focuses on sustainable tourism, capacity building, organizational change, product diversification in emerging and developed destinations, branding and marketing. "You help businesses and places keep their promises." stated one of her latest clients. 2013, Kirsi founded the South-East European base of PRÁTTO Consulting, and she is co-founder and partner of ITB Advisory, as well as chapter leader of Travel Massive Montenegro. Of Finnish origin, Kirsi loves the great outdoors and their protection is close to her heart. She holds a degree in Business Administration (Tourism Management and Marketing) from Heilbronn University, Germany. Since 2006, her basecamp is in Montenegro. 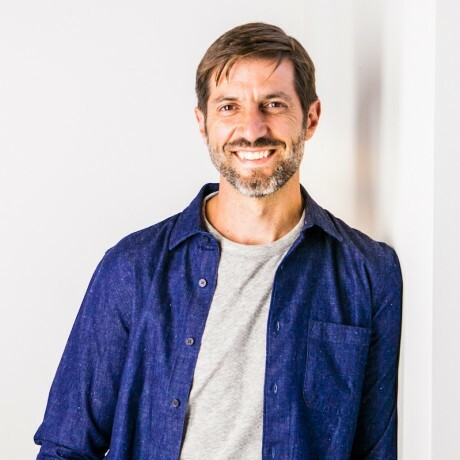 In his past work for clients such as Backroads, REI, Peak Travel (Trek America) and Disney, Luis has lent his talents to product development, guide training, sales and marketing and operations talent. 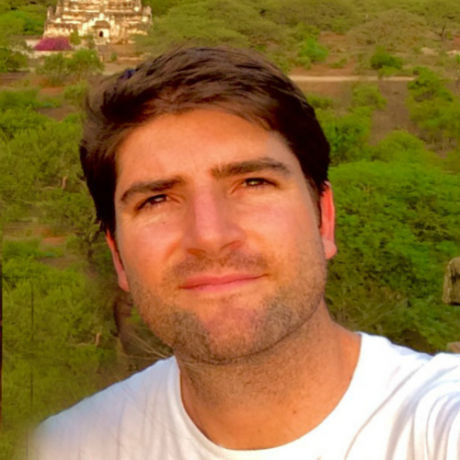 A fluent spanish speaker, Luis offers AdventureEDU tour operator clients help with itinerary design and marketing for international travelers, interpretative guiding and sales. Dr. Manal Kelig is the Executive Director - ATTA MENA region and the Co-Founder of GWE companies. Manal received her BA & Ph.D. degrees in Tourism & Egyptology from the Faculty of Tourism and Hotel Management in Cairo. 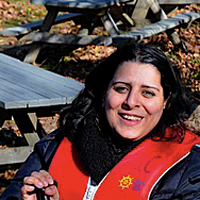 Manal has a wide range of experience as a historian, Tourism development expert and entrepreneur. Manal focuses on expanding the reach and impact of her work through developing and facilitating networking and professional growth opportunities with various travel organizations, media contacts, tourism boards and their representatives at all levels. Manal’s diversified and extensive skills led her to consult for many leading development organizations on sustainable tourism development, and cultural heritage preservation. Along the years, Manal became passionate about connecting with talented people of different backgrounds and assisting them to act on their ideas. Manal’s ultimate goal is to expand the reach and impact of her diversified work to raise awareness of the full potential of the Tourism industry where all players recognize opportunities and responsibilities alike, and to act accordingly so that their actions leave a positive mark on the society in which they operate and ensure its sustainability. 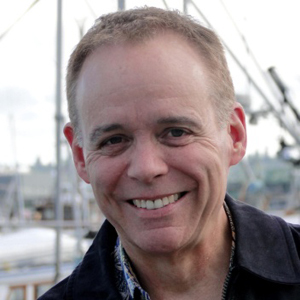 Mark Campbell specializes in marketing, branding and storytelling and helps companies to discover their unique brand story and then crafts marketing and communications solutions to both meaningfully differentiate them and create enduring emotional bonds with their customers. Matthew is a U.K. based digital marketing consultant and strategist specializing in travel and destination marketing. He is head of strategy at I&I Travel Media which sits at the nexus of digital publishing and travel consumer marketing, working on content strategies for tourism brands and providers of all sizes. His work deals with the challenges of creating and delivering content to hard-to-reach audiences in an ever noisier environment, in nurturing audiences into sales and in using robust analytical methodologies to measure these processes and their returns to a high degree of accuracy. He is a semi-permanent traveller who has spent much of the past 10 years working in four continents, is a frequent speaker at industry events and discussions and is regularly published in the trade media. He is also a co-founder of Outbounding.org, a community of prominent travel writers, publishers and bloggers. Zhang Mei’s company has received numerous awards (Travel+Leisure A List Tour Operator 2011, 2010, 2009; Conde Nast Top Travel Specialist 2011, 2010) which stand as a testament to her skills in product development, marketing, and operations. As a native of Yunnan, China, with a business degree from Harvard University in the USA, she provides specialized expertise for adventure travel companies interested in developing adventure travel in China and in catering to outbound Chinese travelers. A serial entrepreneur by nature, Mike’s passion and skill lies in sharing his 20+years of experience in the adventure travel industry and multiple related projects via in-depth, actionable training that can be applied to participants’ businesses right away. His expertise lies in marketing strategy, content marketing, innovation, product development, and funding. He’s spent the past 6 years perfecting online and in-person training for driven entrepreneurs, both on his own and for organizations such as Toronto Public Library and world-renowned Centre for Social Innovation. As founder and Chief Happiness Officer at Sacred Rides (ranked “#1 Mountain Bike Tour Operator on Earth” by both National Geographic Adventure and Outside magazines), he’s grown the company an average of 45% per year over the past 5 years, and has helped build the company’s blog to over 100,000 monthly page views and 28,000 subscribers in just 2 years. 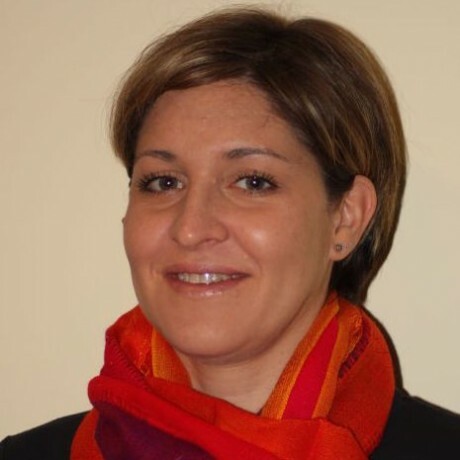 Milena Nikolova’s areas of expertise include tourism market trends and traveler behavior. She is a marketing professor at the American University in Bulgaria. She holds a PhD in Business (focused on Marketing and Sustainable Tourism), and an MS in Psychology. 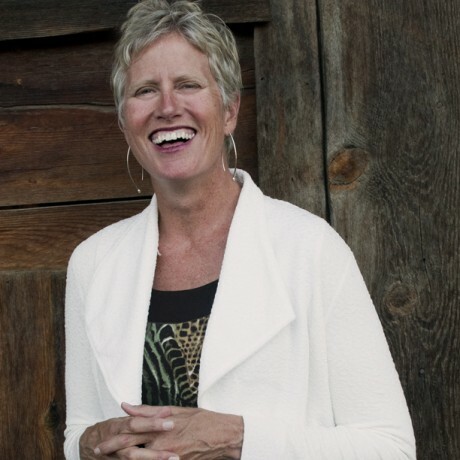 Moementum founder Moe Carrick describes what she does simply: help people do their best work. Moe grounds her approach in a unifying and undeniable truth: successful work is dependent upon human relationships. Her work begins and ends at the critical juncture where people and organizations must solve root issues while simultaneously sustaining the motivation to become better. Moe’s varied contributions to people and organizations have consistently stimulated positive ripple effects with direct and favorable impact to the bottom line. Mona has grown her preventative business law practice from a foundation of more than a decade of commercial and employment litigation. Mona supports adventure travel industry clients by handling employment issues, regulatory applications and compliance, writing contracts with domestic and foreign partners, and more. She handles her client’s legal needs from start-up to sale. Natasha Martin is a tourism consultant specializing in adventure tourism destination marketing, research and market expansion into non-traditional and frontier destinations. Areas of expertise include strategic and online marketing for emerging tourism destinations, Gen Y adventure travelers trends, social media for tourism destinations and tourism research. Past clients include destinations such as Nepal, Palestine, Myanmar, Greenland, Namibia, Northern Peru, India, tour operators in Newfoundland, Mexico and Argentina and industry associations in Brazil and the USA. Natasha was ATTA’s key point of contact during the ATWS 2013, which was held in Namibia. A multimedia editorial leader with 15+ years of experience, Norie creates and directs content with a clear and consistent voice. She is a recognized authority in the travel industry with expertise in developing content for cultural and sustainable destinations. 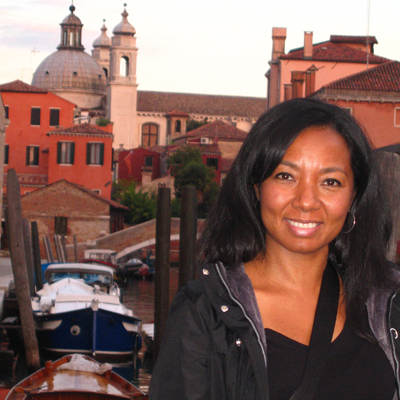 As an editorial consultant to the travel industry, she helps destinations and travel companies find and tell their stories through communications audits, content strategy, itinerary development, branding, training, and project management. She is an editor at large for the Washington, D.C.-based National Geographic Travel Media, contributing content, developing partnerships, and representing the iconic brand. She is an Adventure EDU educator, leading seminars, offering training, and developing online courses for the adventure travel operators. She is a guest lecturer and speaker on travel, media, and writing at universities such as Syracuse’s Newhouse School of Journalism and Northwestern’s Medill School of Journalism. Paige is Assistant Professor in the Department of Recreation and Leisure Studies and an Affiliate Faculty member in the Center for Sustainable Tourism at East Carolina University. She also works with rural communities interested in developing sustainable community-based tourism as an alternative means of diversifying the rural economy. 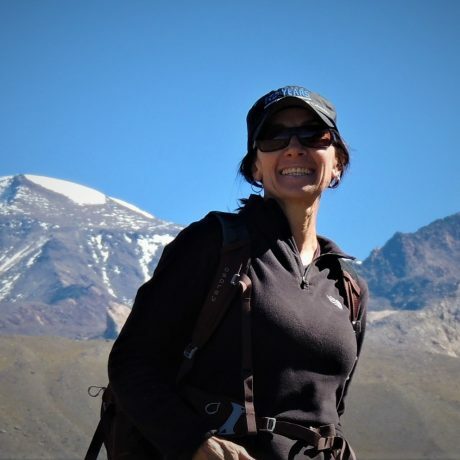 She brings 12 years of experience in travel industry management to AdventureEDU and specializes in working with tourism boards and tour operators interested in understanding how to bring travel research into practical application. Paul is the co-founder of Wilderness Scotland & Wilderness Ireland, an adventure tour operator specializing in active and nature based travel in the UK & Ireland. Having been part of a successful and growing business for more than a decade, Paul has developed an in-depth understanding of the adventure travel industry while acquiring the skills, knowledge and experience required to build a sustainable and purpose driven company. 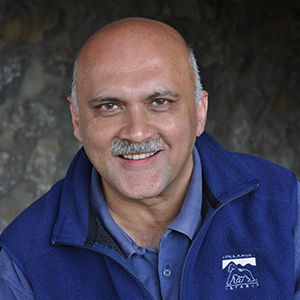 Praveen Moman founded Volcanoes Safaris in 1997, which has been at the forefront of reviving tourism in Uganda and Rwanda. Under Praveen’s guiding vision, Volcanoes has designed and built four unique lodges near the great ape parks. Today the company is recognised for the unique great ape ecotourism model it has created. Raffaele is a professional naturalist guide and the founder of BirdsChile, an adventure travel tour operator based in Chile. Since 2002 Raffaele has been dedicated to promoting naturalist tourism as the primary foundation for sustainable and responsible tourism development in Chile. He spent his early education and university years in Italy and as soon as he returned to Chile he started working in numerous segments of the travel industry, from airline companies and tour operators to specialized tailor-made experiences, based on nature and wildlife, plus extensive fieldwork as an expedition specialized guide and leader in South America. 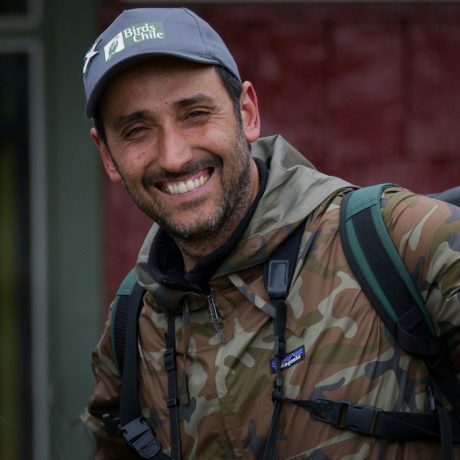 He is a renowned birding guide in Chile and a tireless activist for the development of responsible tourism that delivers conservation benefits as well as benefits for the local communities. Raffaele is also an active member of several different boards in Chile such as the Turismo Chile Board and the Corporación de Turismo of Puerto Varas. He recently led the creation of the newly formed Association of Tour Operators, ATO. He also works as guide trainer and has delivered courses with leading training programs in different countries across South America. 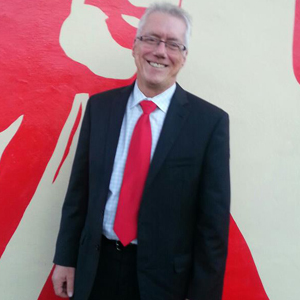 Richard is a travel industry veteran with over 40 years experience in the field. 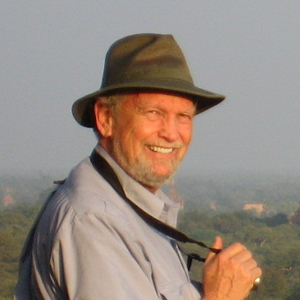 He began his career in adventure travel in the late 1960′s leading trips for the Sierra Club in Canada, the United States and Europe.Today he specializes in coaching adventure tour operators on how to improve their products, marketing and sales techniques. 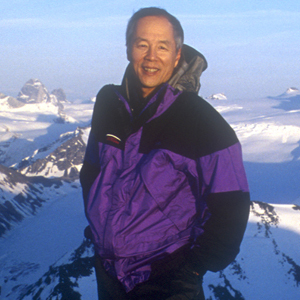 His past clients range from $30 billion Fortune 100 companies to $1 million non-profits and include adventure industry stalwarts such as Austin Lehman, Country Walkers and Quark Expeditions. 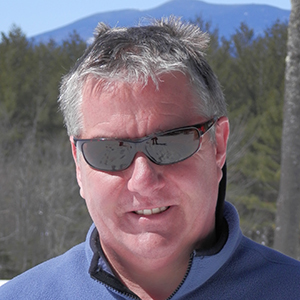 Currently the President of Northern Outdoors, an adventure tour company based in Maine, USA, Russell previously served as the General Manager of OARS, a pioneering adventure river rafting company. He has experience with all aspects of adventure travel business operations from product development and marketing to improving operational efficiencies. For operators, Russell also provides detailed discussion on back-office technical tools and management techniques. 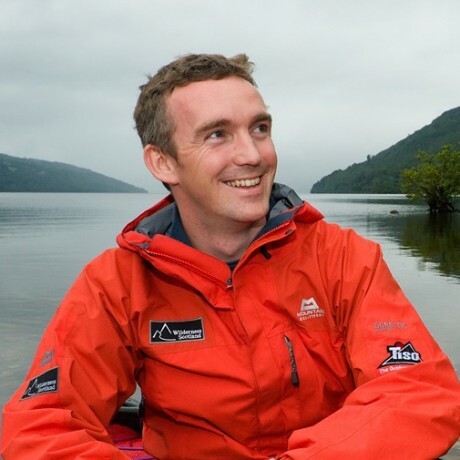 Stevie is a co-owner and Head of Adventure at Wilderness Scotland & Wilderness Ireland, an adventure tour operator specializing in active and nature based travel in the UK & Ireland. 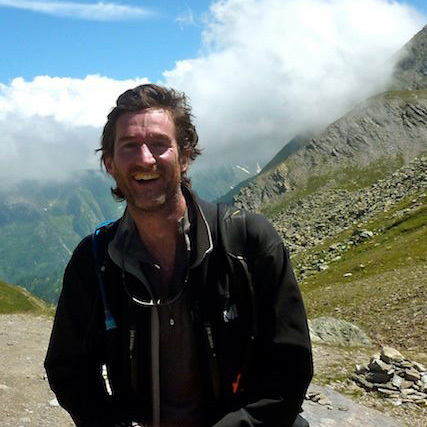 Having been part of a business which has set the standards for adventure travel in Europe, growing it in an exciting yet sustainable manner, Stevie has developed an in-depth understanding of the adventure travel industry. Stevie has been particularly focussed on product creation and working with trade partners across the globe - a key growth opportunity for any adventure travel business. 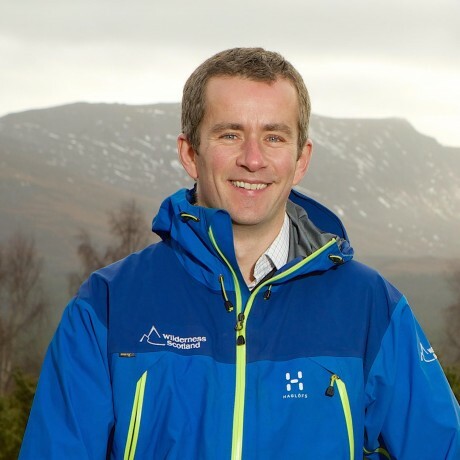 Stevie also brings event management experience, having founded the Edinburgh Mountain Film Festival over a decade ago and building it into one of the UK’s top outdoor festivals. With a wealth of connections from different fields across the outdoor industry, Stevie is able to visualise new opportunities and bring people together to make them a reality. 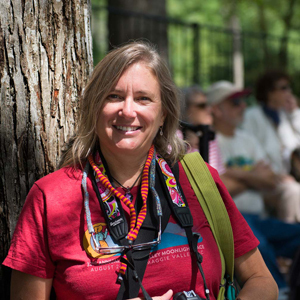 Susan Purvis is a lead instructor for Wilderness Medical Associates, a leader in wilderness medicine education. She owns and operates her educational company, Crested Butte Outdoors International, based in Whitefish, Montana (www.cboutdoors.com). 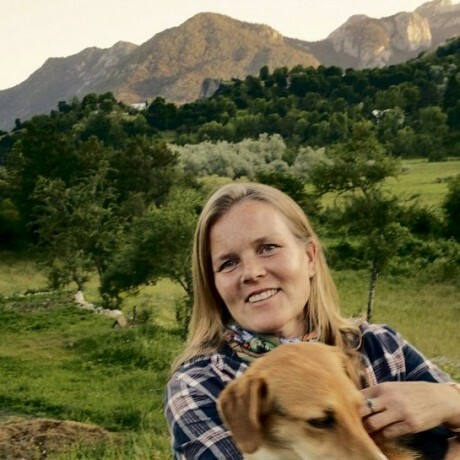 Over the past 25 years, Susan had made a living blending several careers: exploration geology, wilderness medicine and avalanche education, expedition and urgent care medic, and a decade as a search and rescue dog handler in the high country of Colorado. Tom is the former Operations Director for Secret Compass. 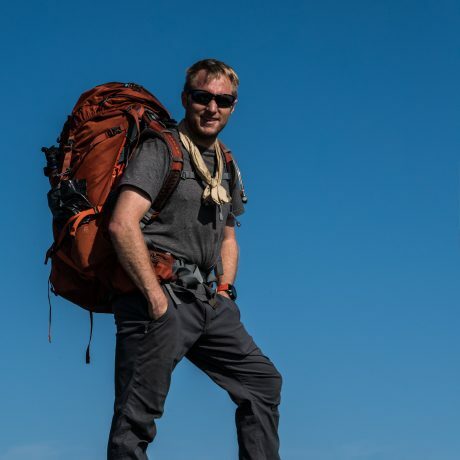 He has vast experience running expeditions to the world’s wildest and remote locations, as well as undertaking the risk management, operational planning and in-country logistics for the TV and film industry. 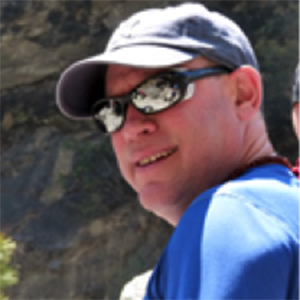 Tom now runs Adventure in Focus, offering consulting services to the Adventure Travel community. The company also offers a full creative package as Tom is an award winning and highly published Professional Photographer, has produced and directed promotional films, is a qualified drone pilot and has been the location manager and expedition leader for TV shows such as Walking the Nile, with Levison Wood. Tom is a former British Army Officer, and has been leading expeditions to some of the remotest destinations on the planet for 15 years, and travelled to over 85 countries in his career.